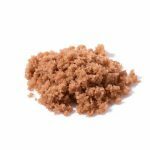 Express scrub based on natural, effective and active ingredients: pink clay, sugar and salt crystals, rosehip, coconut and sweet almond oils. 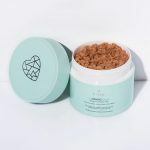 During application, sugar and salt crystals effectively remove dead skin cells, smooth and firm the skin, supporting the fight against cellulite and stretch marks. Pink clay cleanses the skin, restoring its vitality. Rosehip, coconut and sweet almond oils moisturize the skin, enhance its glow, leaving it silky smooth to the touch. It can be used by pregnant women to maintain good skin condition and appearance. The peeling you dreamed about! It works instantly, effectively and effortlessly! You will see and feel the effects after the first application. It takes just a few minutes to let the skin become smooth, moisturized, full of glow and energy. Thanks to essential oils, it leaves the skin moisturized and soft to the touch. No need to use a balm afterwards. Its power comes from natural active ingredients. It can be used even by pregnant women and people with sensitive skin. 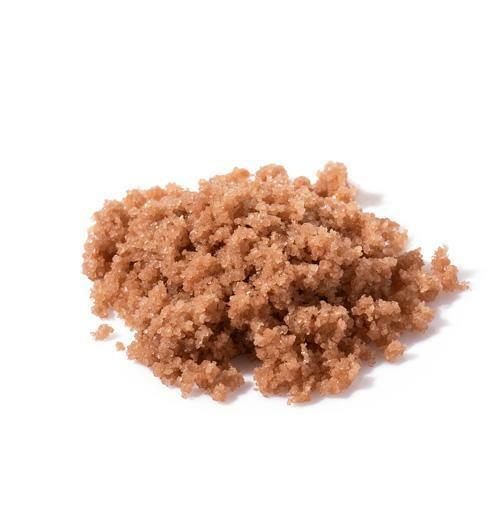 During application, it gently melts on the skin and leaves no marks in the bathtub or shower. A delicate smell of coconut will make you feel like on a paradise beach. Effectively remove dead skin, smooth and firm the skin, supporting the fight against cellulite and stretch marks. Cleans the skin, restoring its vitality. Improves skin condition. Reduces redness, moisturizes and tones the skin. Illuminates and evens out the skin tone. 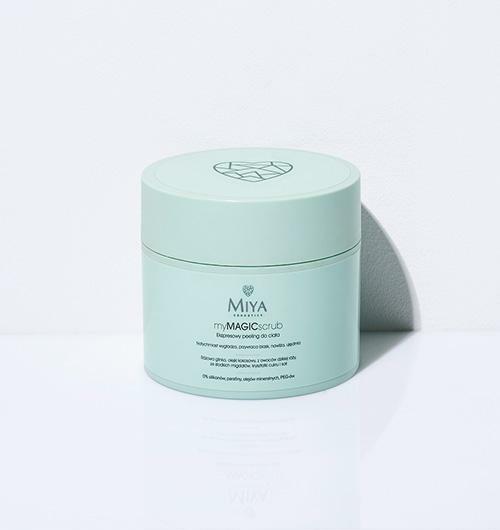 Ideally moisturizes, regenerates and soothes the skin, rebuilding its hydrolipid coat. You can use it in many different ways – even when you’re on the run. It works great as a scrub for your body, cleavage and hands. Apply on wet or dry skin. Take a moment to massage with circular movements, then rinse with water. Apply on wet or dry skin and massage in circular motions. Leave it for 3-5 minutes as a mask to facilitate the penetration of active ingredients, then rinse with water. After application, gently dry the skin with a towel and enjoy a more beautiful, sensual skin. You are ready! 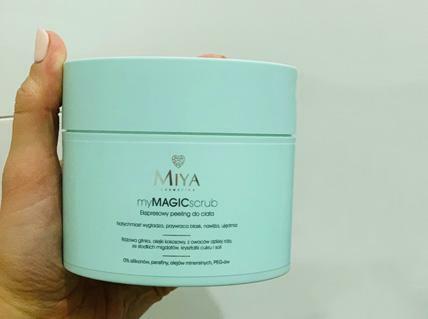 Using circular motions, vigorously massage myMAGICsrub into the skin of your body and then rinse it with water. Thanks to the moisturizing formula with nourishing oils, there is no need to apply a balm after application. You can instantly enjoy your sensual and beautiful skin. You are Ready! Start with myMAGICsrub to smooth your skin instantly. 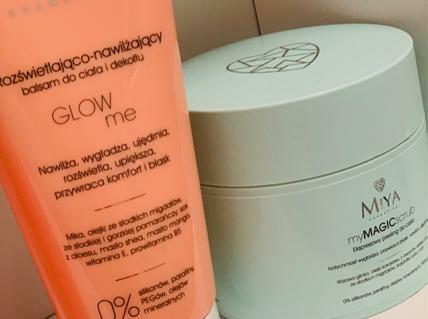 Massage GLOWme balm to moisturize and sensually illuminate the skin. To the neckline, use our creamy highlighter, mySTARlighter. And apply it spot-wise to the eyes and cheeks, too. You are Ready! Start with myMAGICscrub. While applying, take a moment to vigorously massage your body to stimulate microcirculation. Leave the peeling on the skin for 3-5 minutes as a mask and then rinse with water. Clean the face with mySUPERskin oil and apply myPOWERelixir serum. You are Ready! From the start, we wanted it to act like MAGIC. It was to be effective, super fast and at the same time ultra-pleasant. We expected it to work effortlessly and instantly leave the skin sensually smooth, toned, moisturized and full of light. Even more beautiful and ready for anything!